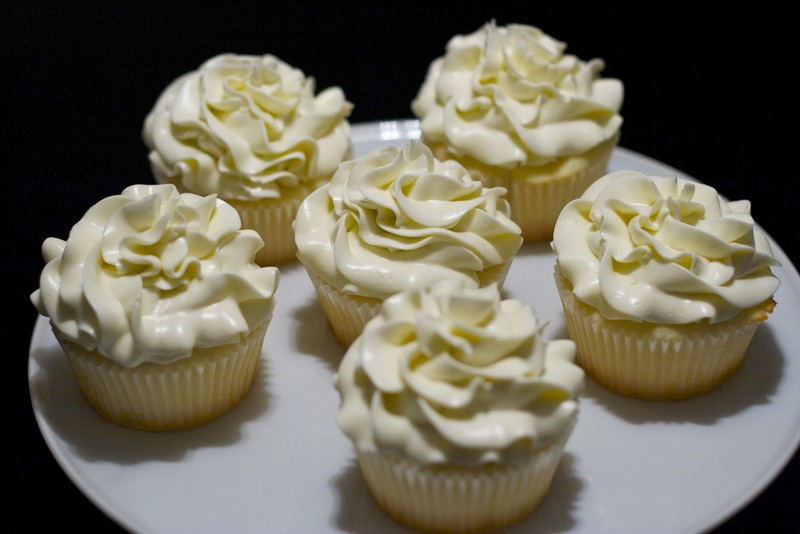 When life gives you lemons (leftover lemon swiss meringue buttercream to be exact), whip up a dozen lemon cupcakes! 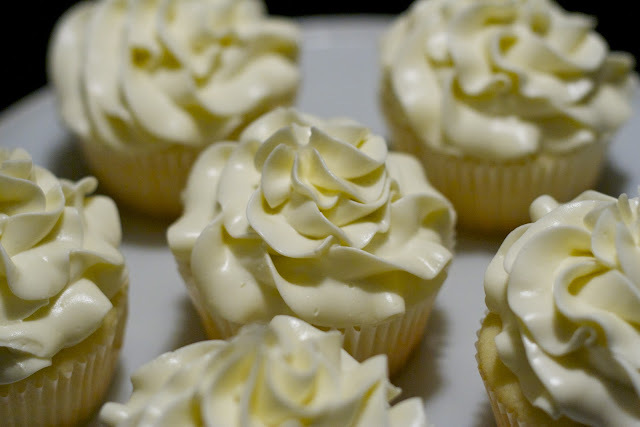 So I know that I said my next post was going to be snowflake cupcakes and I'm working on those tomorrow, but having some leftover buttercream necessitated some impromptu baking of lemon cupcakes. This is the same lemon layer cake recipe from Magnolia that I love. Just in case you ever wondered how much zest really does add to the overall flavour of baked goods, let me just tell you that it really is key in enhancing your citrus flavour. I was busy chatting with my sister-in-law while whipping up these cupcakes and noticed after I had filled my cupcake pan, that I forgot to put in the grated lemon zest. I decided to try to evenly distribute the teaspoonful of zest among the 12 cupcakes and stir the cupcake batter carefully in the cupcake tin. The pairing of the cake and lemon swiss meringue buttercream was perfect in flavour. The cake alone without the buttercream was a little lacking in the lemon intensity that I so love compared to when I have remembered to put the zest in! This was my first time using swiss meringue buttercream rather than icing sugar-based frosting on cupcakes. I used a 1M tip for the swirl. It seemed to give a very pretty, ruffled effect versus my usual swirl with frosting - it may be due to using more pressure than was needed for a fluffy buttercream but I liked the results.